David Beckham rolled back the years with a vintage performance as Paris St Germain beat Brest 3-1. 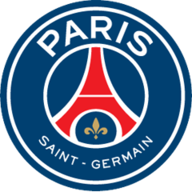 David Beckham rolled back the years with a vintage performance in what appeared to be the final match of a decorated career as Paris St Germain celebrated their Ligue 1 title triumph with a routine victory over already-relegated Brest. Beckham announced he would retire at the end of this season in midweek and was tonight handed the captain's armband before producing a performance worthy of his peak years, which included an assist, if not a goal. Zlatan Ibrahimovic threatened to overshadow the former England skipper's night with a brace in-between Blaise Matuidi's strike in the first half, but it was clear to see this evening belonged to Beckham. There is an outside chance he will play in PSG's final match at Lorient next Sunday, but the 38-year-old made a perhaps telling emotional exit in the 82nd minute by hugging most of his team-mates to a standing ovation from all at the Parc des Princes before making way for Ezequiel Lavezzi. 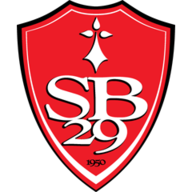 The result was a mere formality, with the rot starting for Brest as early as the fifth minute when Clement Chantome passed to Ibrahimovic, whose first touch took him past his marker before he fired past Alexis Thebaux. The Brest goalkeeper quickly atoned for any fault he may have played in the opening goal by bursting off his line to intercept a wonderful Beckham ball over the top to Ibrahimovic. To their credit the visitors refused to lie down although the closest they came was a long-range drive from Kamel Chafni, which forced PSG custodian Salvatore Sirigu to tip away for a corner. Ibrahimovic continued to underline his threat by easily going past two defenders but his cross on the left by-line with the outside of his right foot was cut out. Brest were merely delaying the inevitable, however, and Beckham came to the fore as Carlo Ancelotti's men doubled their lead in the 32nd minute. The former England midfielder swung in a trademark corner and although Matuidi did not make proper contact with his half-volley, he still managed to get enough contact for the ball to find the back of the net. Four minutes later, after Mario Licka had fouled Matuidi 25 yards from goal, Beckham seemed destined to be given a chance to score. Instead, Ibrahimovic stepped up and curled the free-kick round the wall and into the top corner for his 29th league goal of the season, with the former England international leaping into the striker's arms immediately afterwards. The Swede nearly had his hat-trick shortly afterwards when he cut inside two defenders and although the goal seemed at his mercy, he could only volley wide. It was mattering little to the overall result, however, and it seemed he would have many more opportunities after the interval. It was strike partner Kevin Gameiro who should have got on the scoresheet at the start of the second half when he burst through on goal but saw his shot come back off Thebaux's legs. Beckham then once again underlined the threat he posed with a trademark cross to the unmarked Gameiro, whose miscued his diving header horribly wide. While Brest got the scoresheet in the 80th minute through Charlison Benschop, who beat the offside trap before firing past PSG substitute goalkeeper Alphonse Areola, it paled into insignificance when Beckham was substituted. The former Manchester United, Real Madrid and AC Milan midfielder was struggling to hold back the tears as the PSG players came to pay their respects to him, with the game coming to a complete standstill. PSG president Nasser Al-Khelaifi was also seen wiping away a tear as Beckham was replaced by Lavezzi. The rest of the match was conducted in a party-like atmosphere as PSG prepared to lift their first league crown since 1994.